Daily extended from Richmond to Hammersmith replacing part 111. 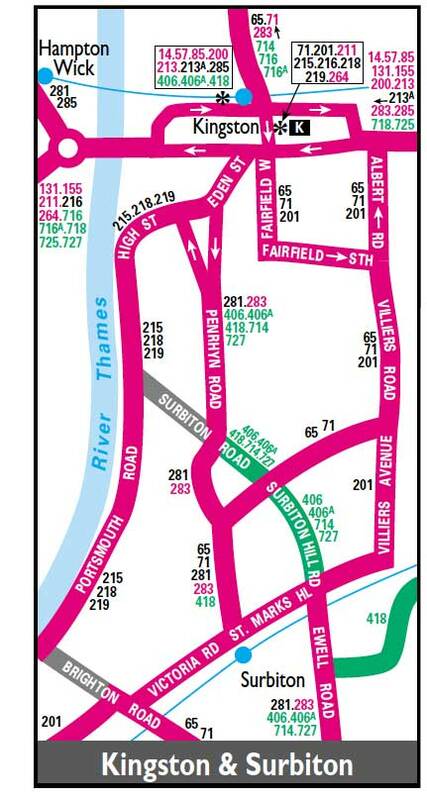 Saturday extended from Kingston to Sunbury replacing 216 short workings. Saturday extension from Kingston to Sunbury withdrawn. Withdrawn between Hammersmith & East Acton. Daily extended from Kingston to Leatherhead replacing Monday-Friday 65 and Saturday/Sunday 65A between Hook & Leatherhead..
AB allocation replaced by K.
Sunday converted to RF OPO operation. Sunday extended from Kingston to Richmond. Monday-Friday peak hour shorts in Ham to operate in a loop via Lock Road. Sunday re-routed in Ham via Riverside Drive. Sunday RF operation converted to BL. Monday-Saturday operation converted from RT to RM. 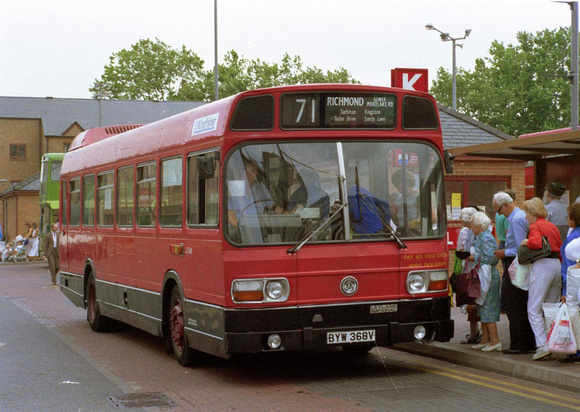 Replaced between Surbiton and Leatherhead by new 265 OPO Route. Route curtailed at Petersham due to Road subsidence. Sunday re-routed southbound at Kingston via Park Road and London Road instead of Kings Road and Richmond Road. 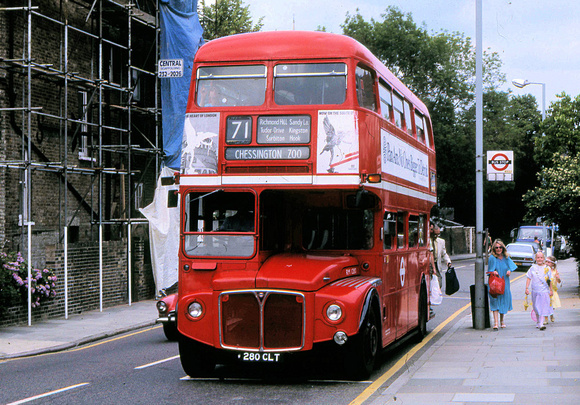 Re-routed northbound via Norbiton and Park Road instead of Kings Road. Route converted to OPO operation. Re-routed at Hook via Copt Gilders Estate instead of direct via Leatherhead Road. 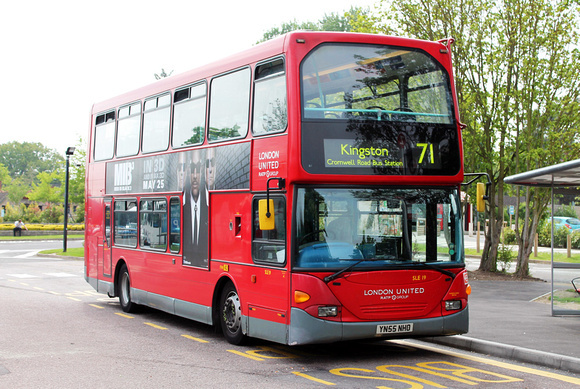 Replaced withdrawn 65 Kingston to Chessington section Monday-Saturday. New LRT contract commenced with " Kingston Buses "
Richmond to Kingston section covered by new 371 Richmond to Kingston. Norbiton Garage closed - allocation transferred to Fulwell - although garage journeys are run out of Route. Re-routed at Kingston via Penrhyn Road instead of Villiers Road - withdrawn section replaced by Route K4. Contract renewed and with new buses. Changeover point was Hammersmith ?